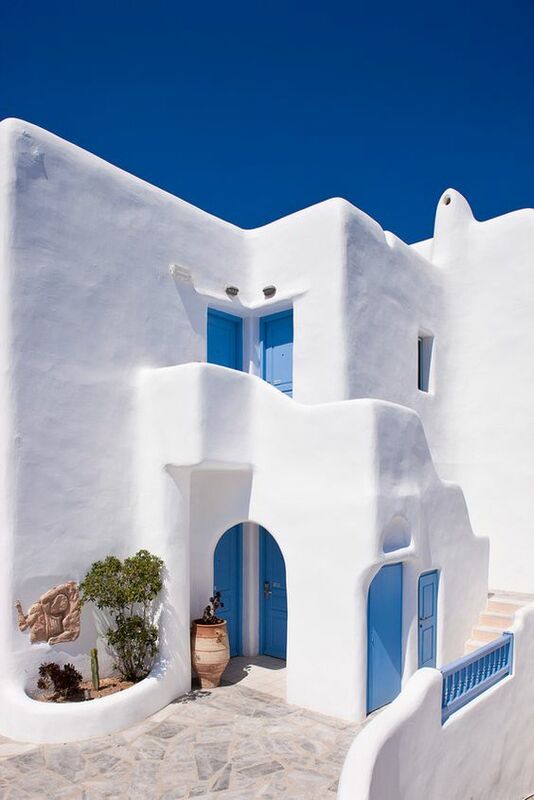 The island of Mykonos is known for its emblematic windmills and its narrow streets with whitewashed facades. This small island in the Aegean Sea is also one of the most popular destinations in the area and is an ideal choice if you want to find modern hotels and restaurants. Spend your day strolling through the streets of Little Venice or relaxing at one of the many beaches before heading to one of the buzzing night clubs. Visiting Mykonos is the perfect opportunity to discover Byzantine architecture and to visit the nearby UNESCO World Heritage site of Delos. If you start feeling crowded in the main city, head to one of the smaller inland villages or take a drive around the island to admire the wild landscapes. The highlight of the Mykonos waterfront is Little Venice, named for its delightful fishing houses that fall mystically into the blue water like buildings along the Venetian canals. The stormier Aegean Sea greets the bases of these iconic white homes, and photo opportunities abound from every direction. 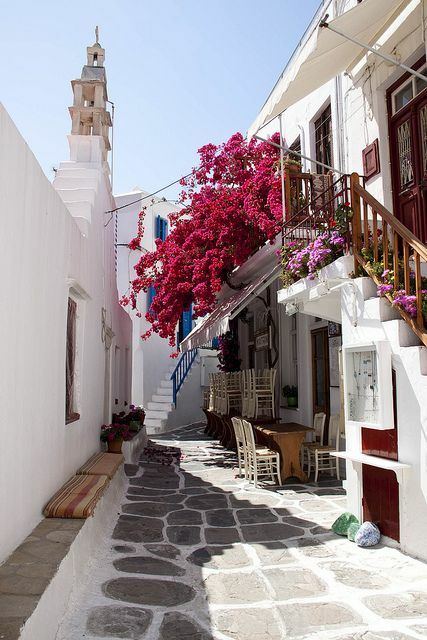 Wandering the back streets reveals charming galleries and delectable cafés and bars with a distinctively Greek atmosphere. These 16th-century windmills are adorable hilltop wonders, overlooking Mikri Venetia and the expansive sea. Built centuries ago by Venetians, the engineering is simple but lasting. Visitors to Mykonos arriving to the island catch their first glimpse of land with the silhouettes of these iconic buildings towering over the picturesque port. Sunset views from the base of the beautiful buildings are incomparable, as the white houses are bathed in golden light. In the Kastro neighborhood by the sea, Panagia Paraportiani is one of the most unique church buildings in the world. White through and through, this angelic structure has gradually expanded since the 14th century and celebrates a diversity of architectural styles. From tip to toe, five different churches have been combined and built into one. Don't you leave without snapping a selfie! A beautiful boat ride away from Mykonos, Delos is an island rich in ancient history. One of the most important sites in all of Greece, it is archaeological heaven for experts and tourists alike. Wander every corner of this UNESCO World Heritage Site in search of traces of the civilization that once worshipped the sacred land as the birthplace of the gods Apollo and Artemis. Highlights include the Terrace of the Lions and the Sacred Way, lined with countless temples, statues and mosaics.